WASHINGTON (AP) — Some of President Barack Obama's political appointees, including the Health and Human Services secretary, are using secret government email accounts they say are necessary to prevent their inboxes from being overwhelmed with unwanted messages, according to a review by The Associated Press. The AP asked for the addresses following last year's disclosures that the former administrator of the Environmental Protection Agency had used separate email accounts at work. The practice is separate from officials who use personal, non-government email accounts for work, which generally is discouraged — but often happens anyway — due to laws requiring that most federal records be preserved. White House spokesman Jay Carney on Tuesday defended use of the email accounts by senior U.S. officials as a traditional practice across government and by previous administrations. Carney said the email accounts aren't secret, even though they aren't disclosed to the public, because their contents fall under congressional oversight and the Freedom of Information Act. Carney said that having alternative emails makes "eminent sense" and compared senior government officials to news columnists at major publications who provide email addresses for their readers but have alternate email addresses so they are not inundated with unwanted messages. Carney wouldn't say whether White House officials also use secret accounts, noting that the president's staff, like Congress, is exempt from turning over materials under the open records law. But Carney said that early in his tenure at press secretary, after his email address had been announced publicly, Carney changed his address to avoid being inundated by emails and spam. Agencies where the AP so far has identified secret addresses, including the Labor Department and HHS, also said maintaining non-public email accounts allows senior officials to keep separate their internal messages with agency employees from emails they exchange with the public. They also said public and non-public accounts are always searched in response to official requests and the records are provided as necessary. The AP couldn't independently verify the practice. It searched hundreds of pages of government emails previously released under the open records law and found only one instance of a published email with a secret address: an email from Labor Department spokesman Carl Fillichio to 34 coworkers in 2010 was turned over to an advocacy group, Americans for Limited Government. It included as one recipient the non-public address for Seth D. Harris, currently the acting labor secretary, who maintains at least three separate email accounts. 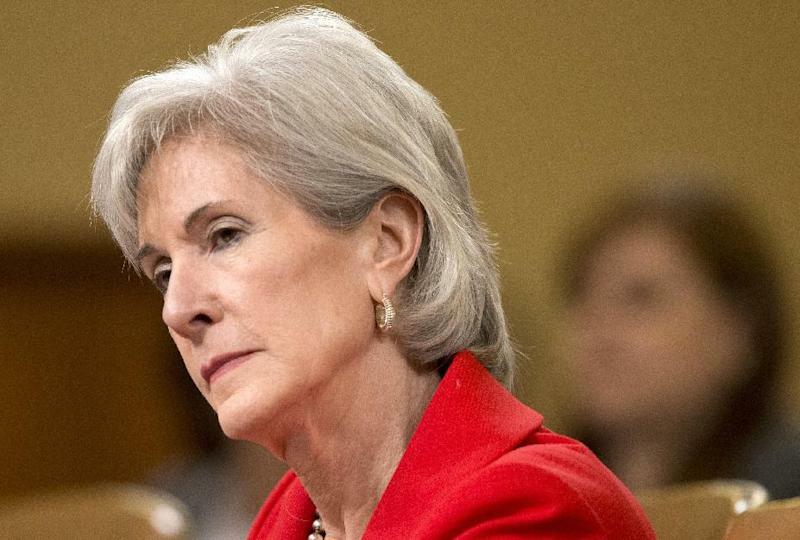 Google can't find any reference on the Internet to the secret address for HHS Secretary Kathleen Sebelius. Congressional oversight committees told the AP they were unfamiliar with the non-public government addresses identified so far by the AP. At least two other senior HHS officials — including Donald Berwick, former head of the Centers for Medicare and Medicaid Services, and Gary Cohen, a deputy administrator in charge of implementing health insurance reform — also had secret government email addresses, according to the records obtained by the AP. A spokesman for Cohen, Brian Cook, said the non-public address that HHS listed in its records — Gary.Cohen1(at)cms.hhs.gov — was created after Cohen rejoined the department in August 2012 after a brief absence and all emails now are directed to his public government email account. Cook called the suggestion that Cohen ever had a secret account "news to everyone, including Gary." The Labor Department initially asked the AP to pay just over $1.03 million when the AP asked for email addresses of political appointees there. It said it needed pull 2,236 computer backup tapes from its archives and pay 50 people to pore over old records. Those costs included three weeks to identify tapes and ship them to a vendor, and pay each person $2,500 for nearly a month's work. But under the department's own FOIA rules — which it cited in its letter to the AP — it is prohibited from charging news organizations any costs except for photocopies after the first 100 pages. The department said it would take 14 weeks to find the emails if the AP had paid the money. Fillichio later acknowledged that the $1.03 million bill was a mistake and provided the AP with email addresses for the agency's Senate-confirmed appointees, including three addresses for Harris, the acting secretary. His secret address was harris.sd(at)dol.gov. His other accounts were one for use with labor employees and the public, and another to send mass emails to the entire Labor Department, outside groups and the public. The Labor Department said it did not object to the AP publishing any of Harris' email addresses. In addition to the email addresses, the AP also sought records government-wide about decisions to create separate email accounts. But the FOIA director at HHS, Robert Eckert, said the agency couldn't provide such emails without undergoing "an extensive and elongated department-wide search." He also said there were "no mechanisms in place to determine if such requests for the creation of secondary email accounts were submitted by the approximately 242 political appointees within HHS." The EPA's secret email accounts were revealed last fall by the Competitive Enterprise Institute, a conservative Washington think tank that was tipped off about Jackson's alias by an insider and later noticed it in documents it obtained the FOIA. The EPA said its policy was to disclose in such documents that "Richard Windsor" was actually the EPA administrator. Courts have consistently set a high bar for the government to withhold public officials' records under the federal privacy rules. A federal judge, Marilyn Hall Patel of California, said in August 2010 that "persons who have placed themselves in the public light" — such as through politics or voluntarily participation in the public arena — have a "significantly diminished privacy interest than others." Her ruling was part of a case in which a journalist sought FBI records, but was denied.